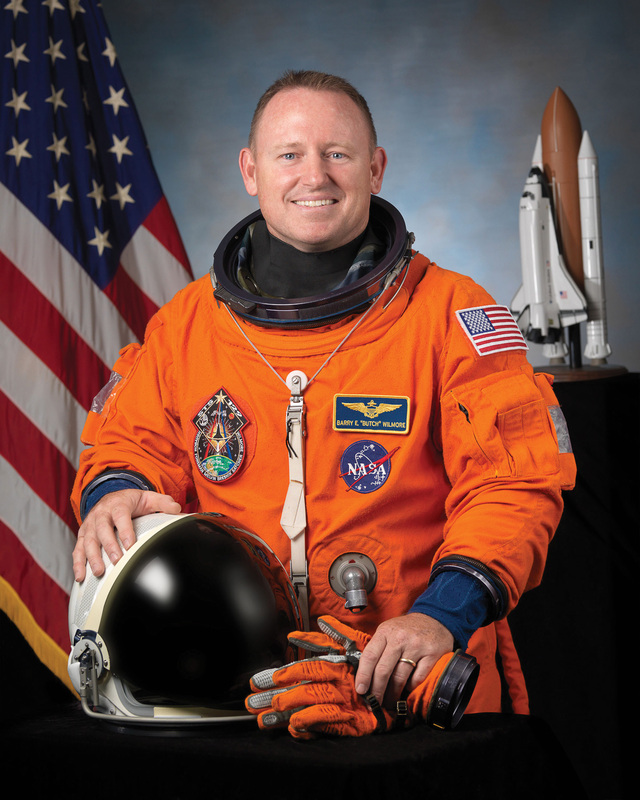 Barry Wilmore has flown jets, piloted a space shuttle and spent time in a space station, but winning the NCAA’s highest award has left the former Golden Eagle football player and one of Tennessee Tech’s most famous alumni almost speechless. Past recipients of the “Teddy” include four presidents — Dwight Eisenhower, Gerald Ford, Ronald Reagan, George H.W. Bush — as well as fellow astronauts John Glenn and Sally Ride, General Omar Bradley and such sports figures as Arnold Palmer, Jesse Owens and Tony Dungy. A native of Mt. Juliet, Tennessee, Wilmore played football at Tech from 1982 to 1985. Wilmore first joined the Golden Eagle football program as a walk-on under coach Don Wade. He was elevated to the starting role at defensive end for the final three games of the season. A knee injury and subsequent surgery brought about a redshirt season in 1983 under new coach Gary Darnell. 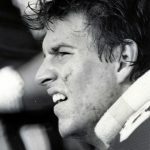 After earning his bachelor’s degree in electrical engineering in May, he returned to the Golden Eagle roster as one of the university’s first graduate student- athletes and made the switch to outside linebacker for the 1985 campaign. It was during his final season that Wilmore established himself in the Tech record books and reaped several post-season honors for his talents both on the field and in the classroom. He was voted Academic All-District and named to Leonard’s All-America team. He was also selected as the Robert Hill Johnson Award recipient and won a Scholar-Athlete Award from the National Football Foundation and Hall of Fame. Wilmore has served his country in several capacities. He was a Naval officer and pilot before becoming an astronaut for NASA. He piloted the Space Shuttle Atlantis and was a commander of the International Space Station. Inside the space station, Wilmore showed his purple pride by donning a Tech football jersey and cap while tossing around a Tech football. The 56-year-old Wilmore has received numerous medals, honors and awards during his lifetime. Among those include the Navy Meritorious Service Medal, Air Medal, Navy Commendation Medal, Navy Achievement Medal, being inducted into the Tech Sports Hall of Fame in 2003, honored as a 2010 Engineer of Distinction by Tech’s College of Engineering, and receiving a honorary doctorate from Tech in 2012. Now he can add the “Teddy” to his long list of accolades.